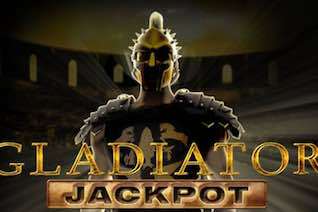 Playtech added a new progressive jackpot prize to their popular Gladiator Jackpot Slot to make this game a whole lot better. 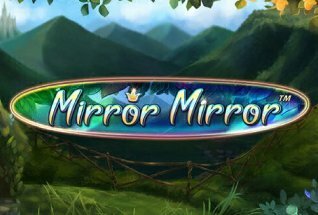 The game is based on the blockbuster Hollywood movie and it includes a bonus round with up to 24 free spins availalble with a 3x multiplier opportunity. The jackpot sprize is won by finding golden Gladiator helmets in the bonus round. 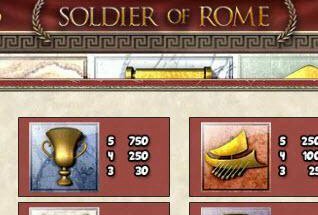 Gladiator slot is a classic Playtech game. It has 5 reels and 25 paylines and can be played from 25p up to a whopping £1,250 per spin. Alongside the 5,000 coin jackpot there is also of course the Progressive Jackpot to be won. The non-progressive jackpot is won by landing 5 Emperor symbols on one spin. This slot is great fun for lots of reasons, one of which is the amazing clips you see from the movie. 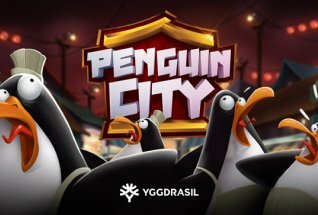 They are triggered at various times during the game, including the switch into the bonus round and at various points in the free spins games. Fans of Joaquim Phoenix will love this. There are two main bonus features to look out for. The first is the Coliseum Bonus feature which is triggered by landing three bonus Coliseum scatters. When this happens, just click the Start Button to set this bonus round off. This sets up a grip of four rows and 5 columns. Pick one stone from the bottom row to start. The bottom row sets the number of free spins, the second up reveals a multiplier value, and the third sets up a extra scatter symbol that will come into play during the free spins round. There is a fourth row that will reveal an extra wild which also comes into play during the free spins round. During the Free Spins round, the Emperor symbol, when it pitches on the middle reel, gives you an extra three spins. You can claim up to 24 this way AND a 3x multiplier. If this all comes together with the extra scatter and wild, the wins can start to stack up. 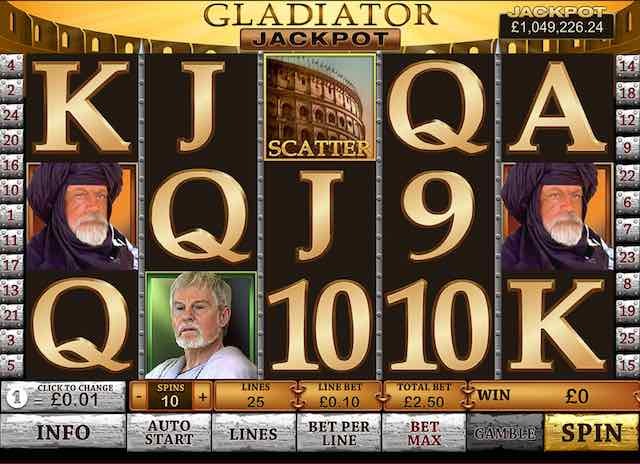 The second bonus feature is the Gladiator Jackpot Bonus. This is where the real prize lies! You need to get three Gladiator helmet wild symbols on reels 2 through to 4 to ge this one going. This can happen in the standard base game, but also in the Coliseum Bonus feature. You’re looking for nine helmets in either Gold, Silver or Bronze to give cash prizes. It is basically the standard Pick Me bonus round that we all know. NOTE – the jackpot can only be won from the base game, not when the game is triggered from the Free Spins round. The Progressive prize is won when you reveal 9 Gold gladiator helmets. It’s a potentially massive online progressive so definitely worth playing for!